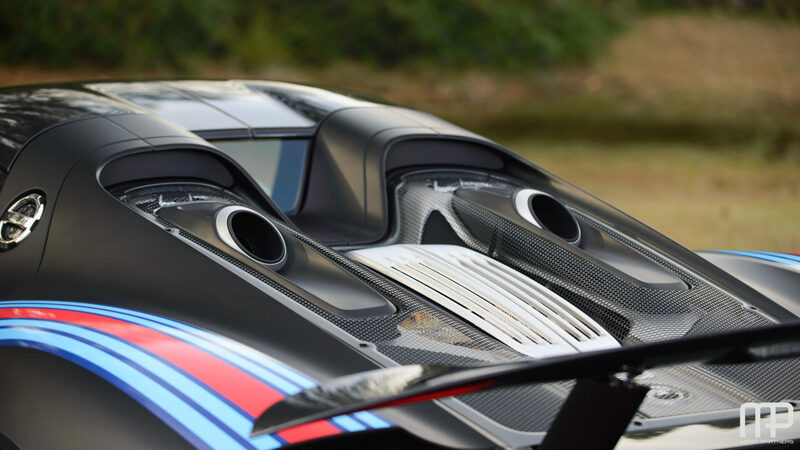 This virtually unused example came to us from a private owner, and has recorded just 270 miles from new. 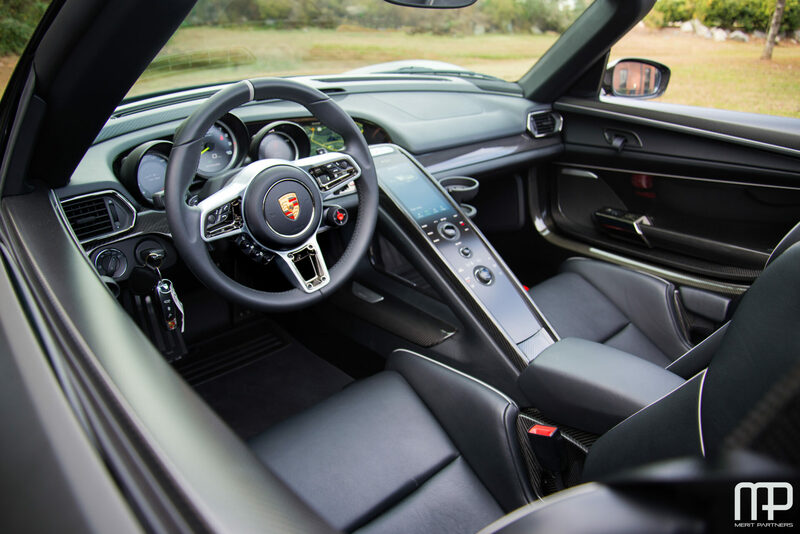 Our client ordered the car in “Paint-to-Sample” Metalllic Oryx White with an Onyx Black interior piped in contrasting silver. 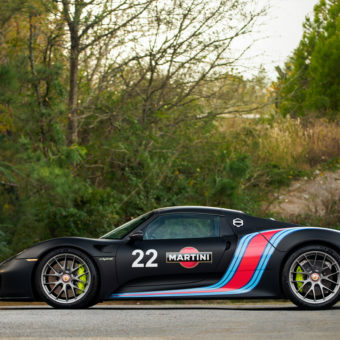 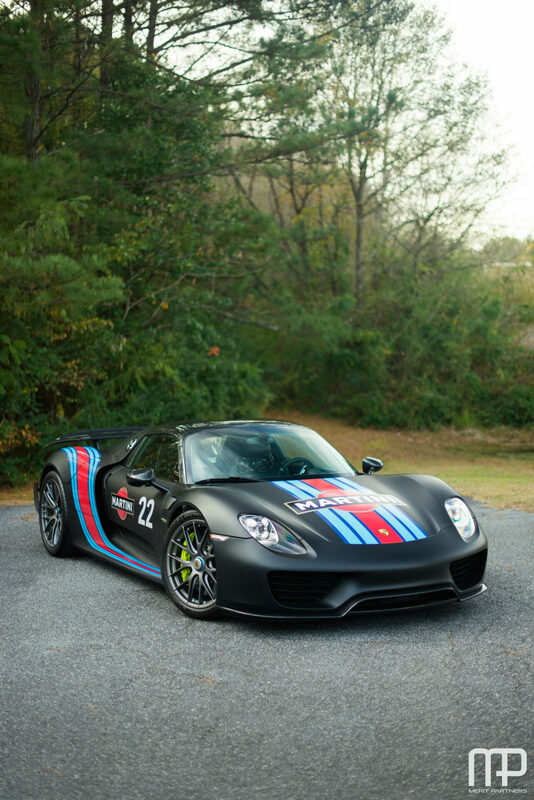 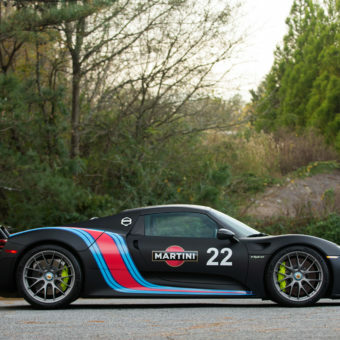 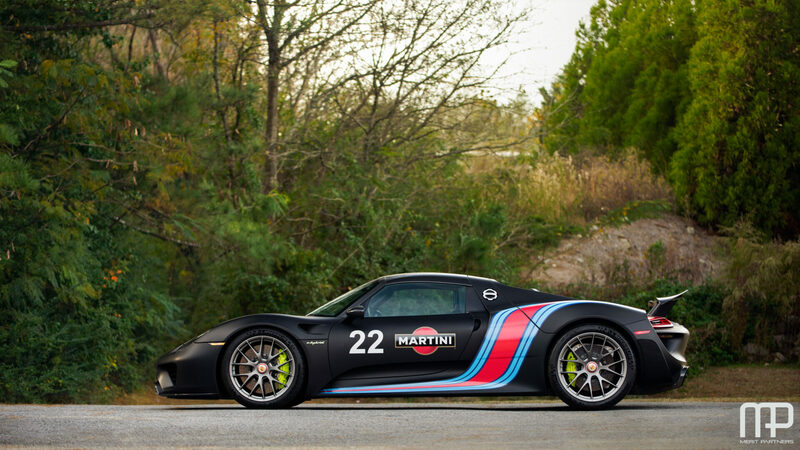 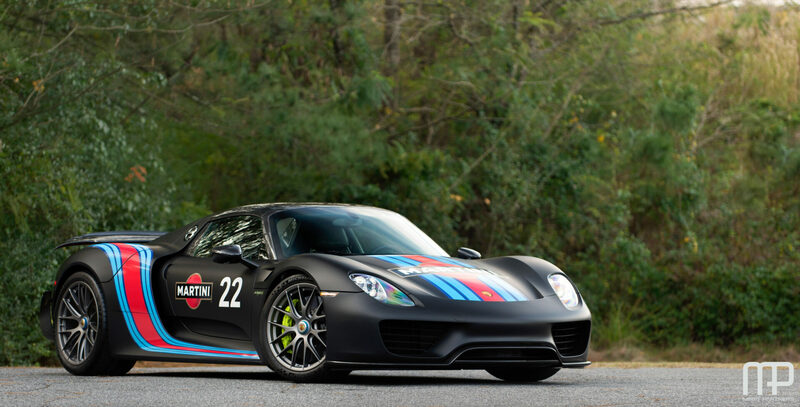 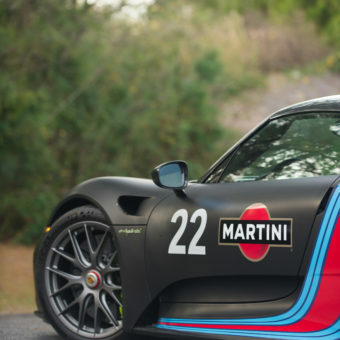 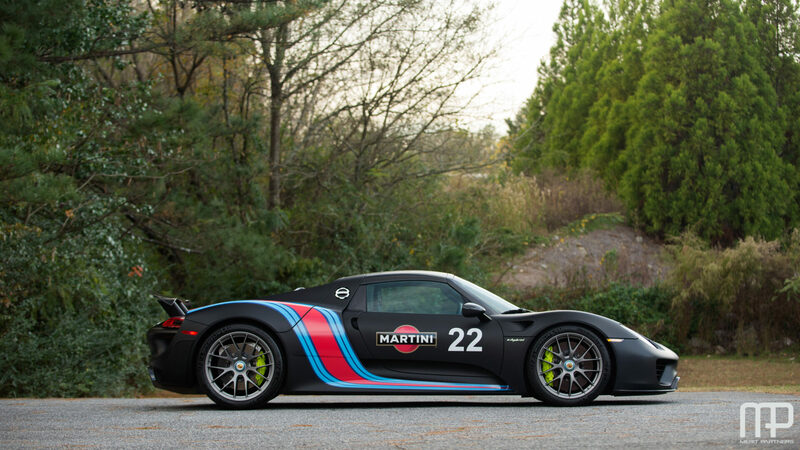 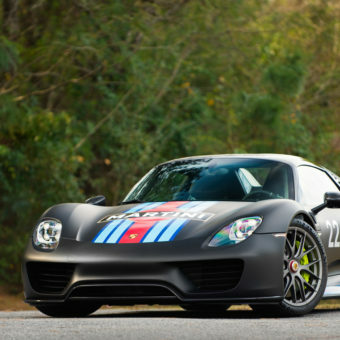 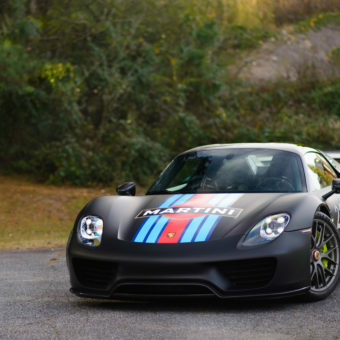 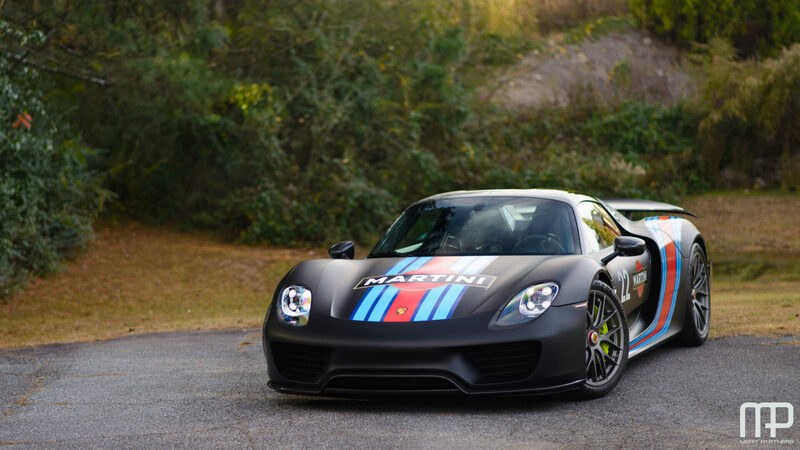 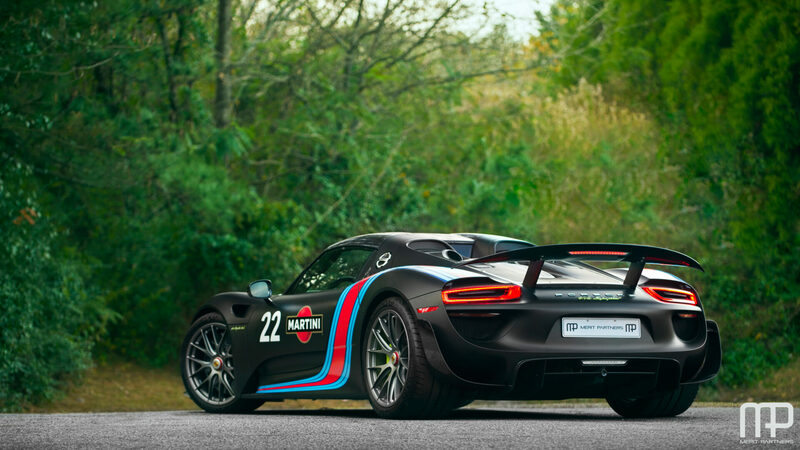 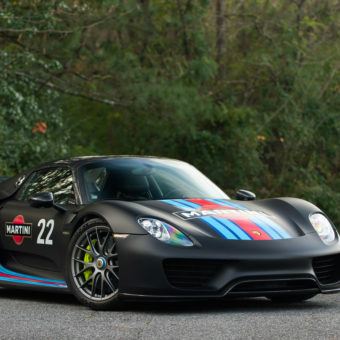 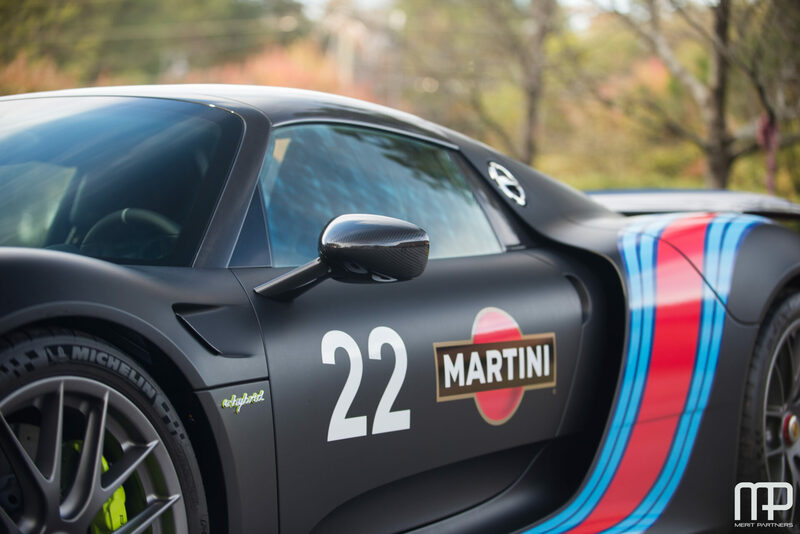 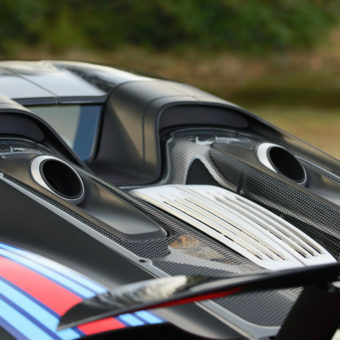 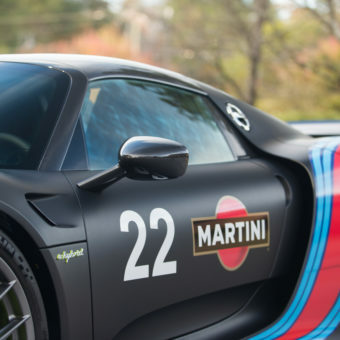 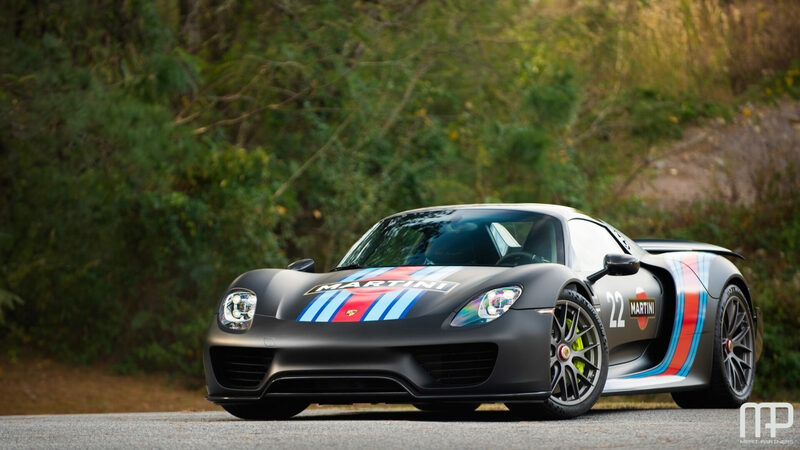 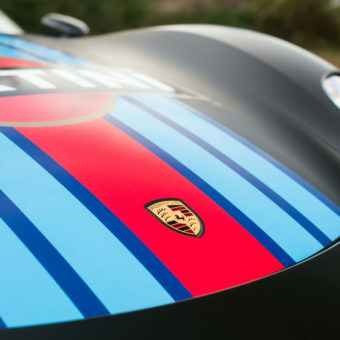 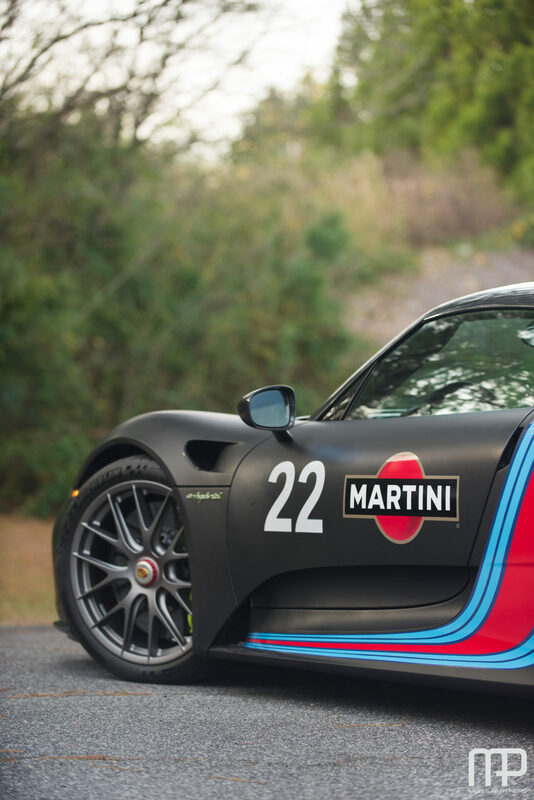 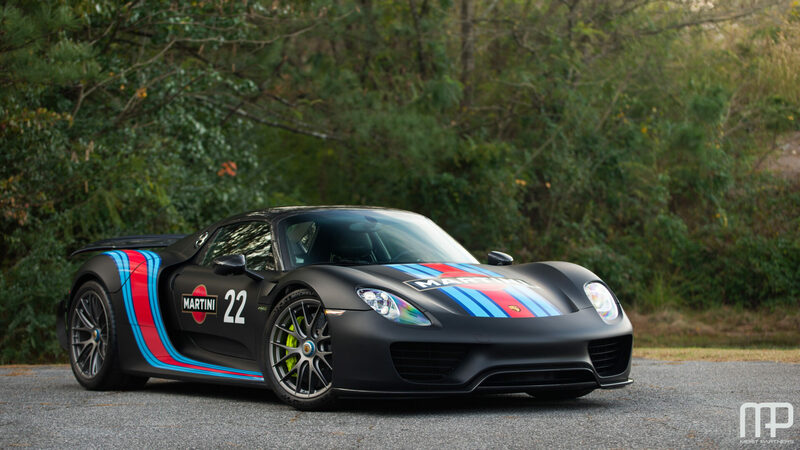 Being a racing enthusiast and Porsche aficionado, he opted for the Weissach package and the iconic Martini livery. 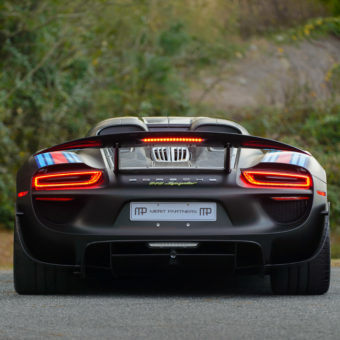 The Weissach package, is an exclusive version, reducing weight and unsprung mass with magnesium alloy center-lock wheels, light-weight Alcantara instead of leather interior trim, fire-resistant fabric upholstery, and lighter door pull straps. 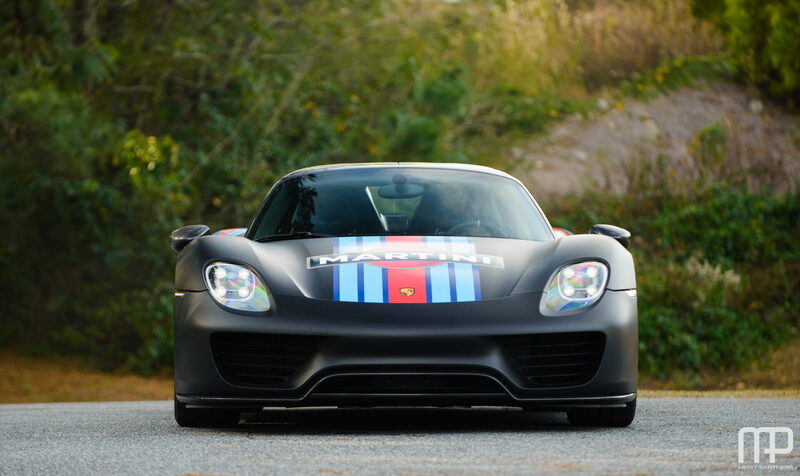 This special Weissach edition features the factory-applied Matte Black wrap. 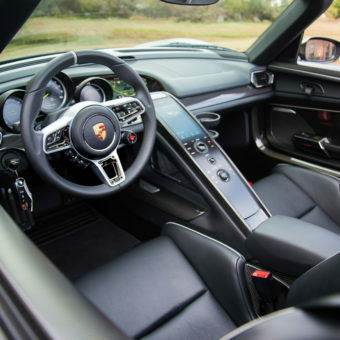 Additional options include a front axle lift system, a glare reducing interior package, two-zone climate control, cup holder, Homelink, a seat-pad for the lightweight driver’s bucket seat, and a Special Wishes” extended-length eternal charging cable. 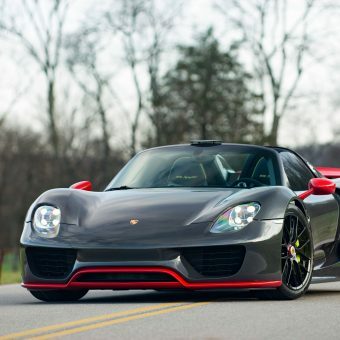 The MSRP totaled $1,009,275. 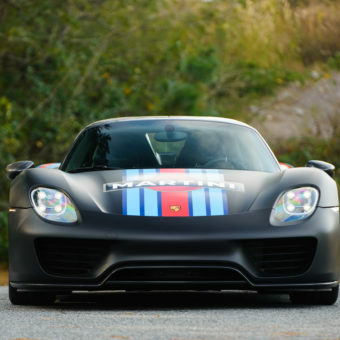 Recently service per its factory recommended 2 year schedule at a cost of approximately $7,000. 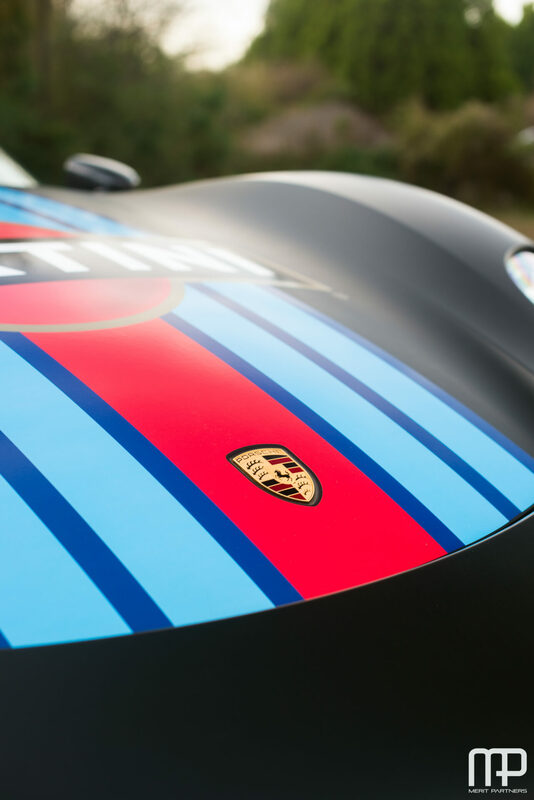 All the services and recalls has been completed. 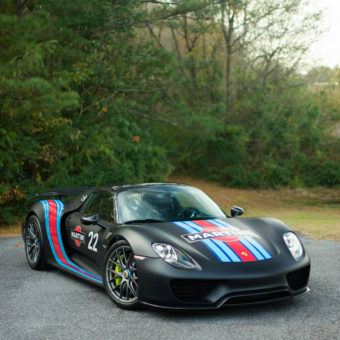 The car is supplied with its original window sticker, books, tools, service records, battery charger, and car cover. 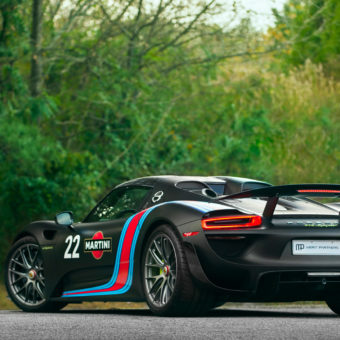 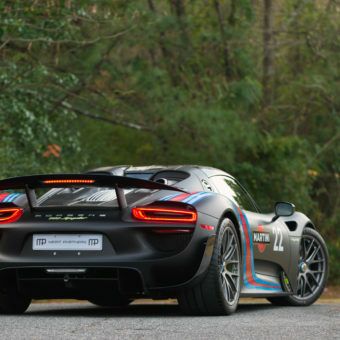 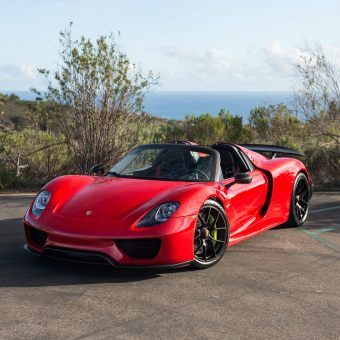 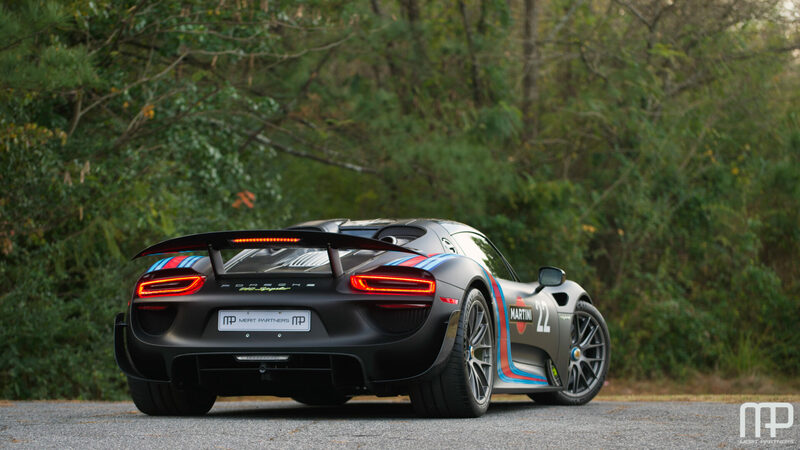 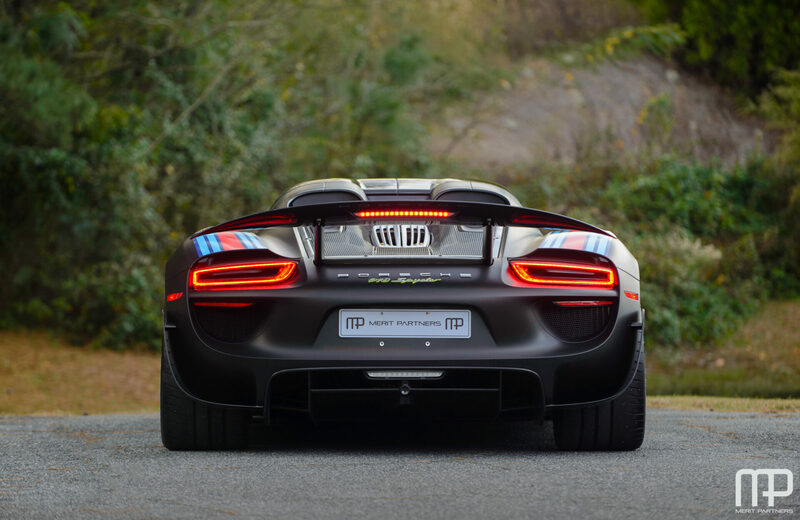 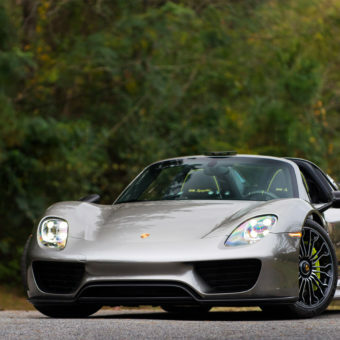 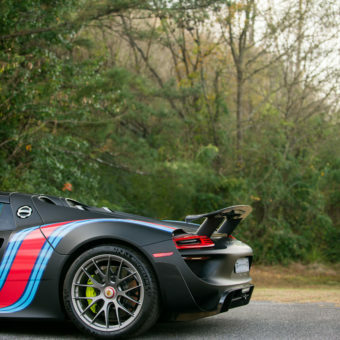 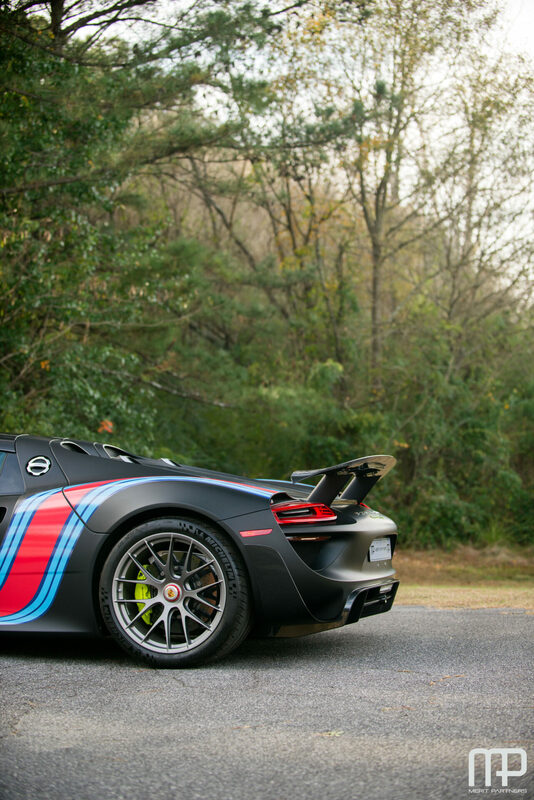 This is certainly among the lowest-original mileage Porsche 918 Weissach edition available and offers an incredibly rare opportunity for serious Porsche collector to acquire.